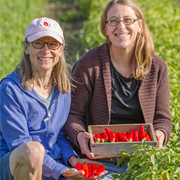 'Red Ember': "The first finishing-quality cayenne pepper powder…"
'Valentine': "Like the queen of hearts for grape tomatoes…"
Johnny's & Unity Food Hub cofound the Northeast Seed-to-Table Initiative (NESTI) & hold their 2nd Annual Seed-to-Table Variety Tasting. Johnny's breeder Janika Eckert is awarded the 2016 All-America Selections Breeders Cup. "It goes beyond meeting market demand — one has to be bold enough to adventure beyond the known into one's vision of what is possible — to dream up new products and then have the tenacity and know-how to make those products become reality. Working for a company that believes in innovation and continual improvement is necessary." Johnny's receives two All-America Selections National Awards in recognition of its newest Corno di Toro pepper varieties, 'Escamillo' and 'Cornito Giallo'. 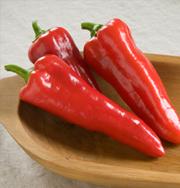 In addition to being chosen for their outstanding flavor and rich coloration, Johnny's AAS-winning peppers are easy to grow under a wide range of conditions, mature early, and express a compact, upright growth habit, or "plant architecture" that keeps the fruits healthy and up off the ground. 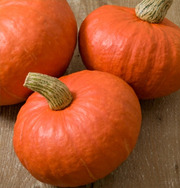 "This adorable small-fruited butternut squash has an exceptionally sweet taste perfect for just one or two servings." Bred by Johnny's Selected Seeds. Founder and Chairman Rob L Johnston, Jr, wins the All-America Selections 2013 Breeders Cup Award, honoring 40 years of breeding accomplishments. Johnny's becomes 100% employee-owned in June. Johnny's Selected Seeds celebrates 40 years of providing superior ideas, products, and solutions to our community of growers. Our growing Contact Center and administrative offices move to Fairfield, Maine. Learn more about our award-winning Customer Support. 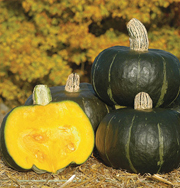 'Honey Bear' acorn squash, bred by Brent Loy of the University of New Hampshire, is an AAS winner. Johnny's exclusively produces and markets the seeds. 'Carmen' sweet pepper is chosen as an AAS winner, the sixth winner bred by Johnny's. Johnny's begins the transition to employee ownership, with Rob and Janika selling shares to an Employee Stock Ownership Trust. 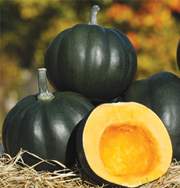 'Bonbon' buttercup squash is chosen as an AAS winner. Rob Johnston and his wife, Janika Eckert, donate a conservation easement on Johnny's farm in Albion and on an additional 45 acres of farmland they own nearby. The easements with Maine Farmland Trust ensure that the land will never be developed or used for any purpose other than farming. "'Sunshine' is a new squash that outshined other varieties in side-by-side trials across North America." Johnny's moves its warehouse and shipping operations to Winslow, Maine, a few minutes' drive from the Albion farm. Get a peek behind the scenes with our video on Same-Day Shipping at Johnny's. 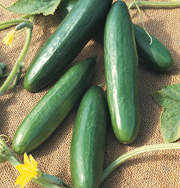 Johnny's breeding work produces another AAS winner, 'Diva' seedless cucumber. 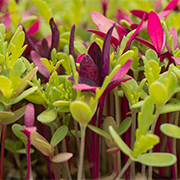 Johnny's adds Microgreens to the catalog offerings. 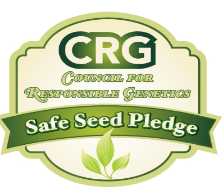 One of 9 original signers, Johnny's joins the Safe Seed Initiative, pledging that it will not knowingly buy or sell genetically engineered seeds or plants. 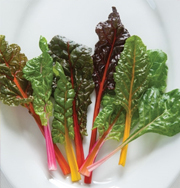 'Bright Lights' Swiss chard is chosen as an AAS winner. Medicinal herb seeds are added. The catalogs are printed in full color. 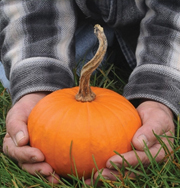 'Baby Bear' pie pumpkin is chosen as an All-America Selections (AAS) winner — the first time Johnny's Selected Seeds wins this prestigious award for breeding work. Johnny's Selected Seeds introduces seven new classes of vegetables, including French radishes, French filet beans, European cucumbers, radicchio, mâche, and other unusual "gourmet" items. Johnny's farm is selected as an All-America Selections trial grounds, one of about 20 in North America for vegetables. 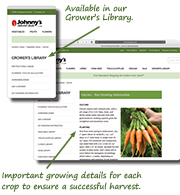 The catalog is rewritten to serve as a grower's handbook and bulk seeds are offered for the first time, in response to demand from market gardeners and farmers. 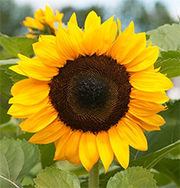 The Albion farm is certified organic by the Maine Organic Farmers & Gardeners Association (MOFGA). Learn more about organics at Johnny's. Johnny's Selected Seeds' logo, still in use today, makes its first appearance. New in 1976 are "a couple of knockout cabbage varieties from Denmark and 7 new Canadian-grown tomato strains." Acquisition of the 120-acre farm in Albion, Maine. Rob's approach to selling seeds is low key, with a sincere effort to provide quality seeds for Maine gardeners. Working from his parents' home in Massachusetts, Rob issues the first Johnny Apple Seeds catalog. After hearing from another company that it holds the trademark on the name Johnny Apple Seeds, Rob changes his business name to Johnny's Selected Seeds. Rob moves to Maine when friends offer use of their farmland. While growing vegetables for market at a small farm in New Hampshire, 22-year-old Rob Johnston recognizes an opportunity for a new kind of seed company — one that will identify the best-tasting and easiest-to-grow varieties and sell them to American gardeners. He calls his start-up company "Johnny Apple Seeds." Like anything grown from seed, the company known as Johnny's Selected Seeds had the smallest of beginnings. It put down its first roots in relative obscurity in spring 1973, when founder Rob Johnston, Jr, at age 22, and with $500 in savings, started the fledgling seed company in a New Hampshire farmhouse attic, moving in the fall to his parents' home in Acton, Massachusetts. Farming and seed raising were not new to Johnston. Born in Pennsylvania, he got his first introduction to farming from his grandfather. "He liked to take me out to the fields on summer nights to listen to the corn grow," Johnston says. But his early years were spent growing up in the suburbs where athletics, more than anything to do with the soil, was an early preoccupation. Johnston first majored in math and chemistry at the University of Massachusetts, Amherst. But in 1969, with homesteading and small-scale farming attracting a wide number of students, Johnston got involved in helping to start the Yellow Sun Food Cooperative in Amherst, a successful counterculture venture, including a small vegetable market garden. 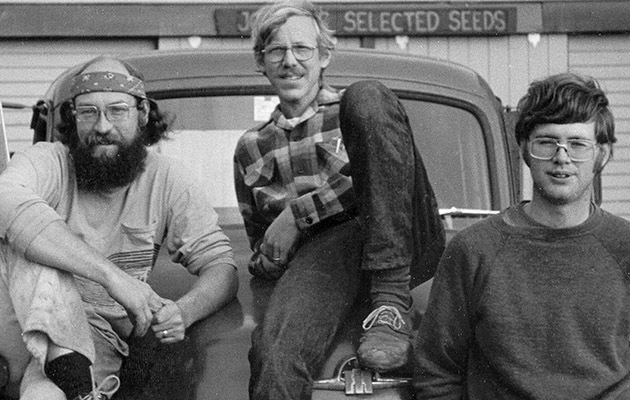 Perhaps a seed memory planted by his grandfather got his interests moving toward agriculture, because after two years at UMass, he dropped out to work, first at a natural food store in Providence, and then in 1972 on a communal truck farm in southern New Hampshire. The group raised 15 acres of vegetables sold through a co-op to Boston and New York markets. It was here that he got his first experience with large-scale farming and with the seed business. The truck farm also introduced him to the frustrating world of hard-to-find vegetable varieties. Some of their more successful crops were Oriental vegetables. 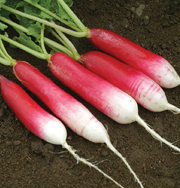 A Japanese distributor in New York City wanted specialty produce. In order to grow it, Johnston first had to find the seeds. "We had to go to Japan to get the seed, because no one was offering it," he says. He found the details of his correspondence to Japan and its varieties so fascinating, it led to a private research project. Soon other regional growers heard about Johnston and began to contact him for hard-to-find varieties. "I was discovering a lot about seeds," he says, "and I enjoyed working with the land so much that the combination suddenly seemed the perfect vocation." Subsequent work in 1973 and 1974 with seed breeders Dr. Walton Galinat and Professor Elwin Meader galvanized Johnston toward developing his own plant breeding programs. All this experience was later to evolve into Johnny's Selected Seeds. He first named his small company, however, after the legendary seedsman, Johnny Appleseed (John Chapman). In the fall of 1974, his small company moved temporarily to Dixmont, Maine, to use farmland offered by friends. In 1975, he relocated the company on its present site — a former dairy farm in Albion, a small town in Central Maine, population 1500. "What appealed to me about this place was the soil, a beautiful sandy loam," he says, "I knew it was good growing soil right from the start, because when I saw the fields for the first time in June, the hay was shoulder high." From the start, the company put down unconventional roots. "I was interested in doing a better job with short-growing-season areas. It was clear that there wasn't any company doing a good job of focusing on that," Johnston says. Before the word "ecology" became a household word, Johnston believed that the best vegetable seed grows from plants nurtured on organically enriched soil, unexposed to pesticides and herbicides. Moreover, recognizing the precious genetic heritage in heirloom seeds, he offered numerous vintage varieties, whose seed, unlike hybrids, does not break down after one generation. And, although operating a business dependent upon seed sales, he wrote Growing Garden Seeds, a book to help gardeners save their own vegetable seeds. But it was his simple seed package and no-nonsense catalog that really broke new ground in the seed business. 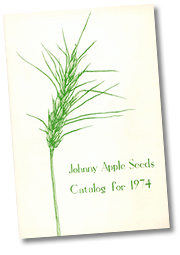 The catalogs, packed with solid growing information and straightforward, "newsy" variety descriptions penned by Johnston himself, cut through the glamour of many established seed companies. Early on, an uncommonly diverse seed assortment, ranging from more traditional varieties to hard-to-come-by specialties, was greatly appealing. 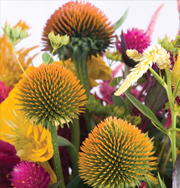 As it does today, the catalog's rich diversity drew a broad range of gardeners, from beginners and veterans, to fresh market growers looking for high-quality, new items. In those first years, Johnston laid the groundwork for rigorous seed testing and product development. 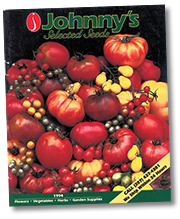 His quality assurance sold gardeners and growers alike on Johnny's Selected Seeds. On one occasion during the company's early startup days, the seed company was faced with a problem: two bags of peas with a low germination rate of 60% were accidentally sent to customers. As soon as the error was discovered, Johnston replaced the seed, with apologies. "We just cannot sell anything here that isn't going to do well. If we sell someone seed that doesn't germinate well, that customer isn't going to come back. So, we'll do practically anything we can to maintain quality," he had said. To this day, Johnny's Selected Seeds backs its products with a 100% guarantee. 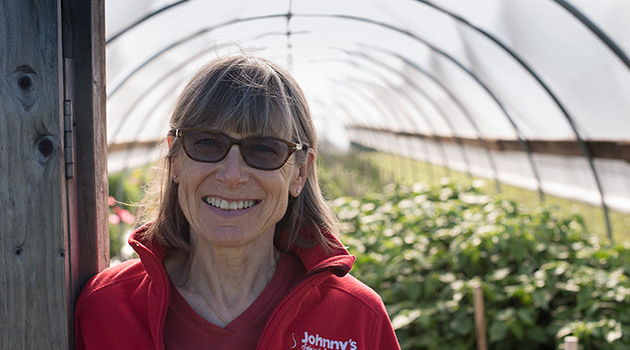 Johnny's has grown from a fledgling business in a farmhouse attic to a national and international multichannel retailer, employing over 100 full-time and 50 seasonal employees. The company now regularly ships seed to growers and home gardeners across the United States, and regularly supplies seed to over 50 countries around the world. One major milestone in Johnny's history was the launch of its first website in the spring of 1995. Today, the Internet serves as a major platform for company business worldwide. In late 2002, the company relocated its headquarters to Winslow, Maine, a move precipitated by the desire to house the majority of Johnny's employees under one roof, as the company had previously been operating in three separate buildings. Johnny's new home contained the administrative offices, the Sales and Marketing departments, a seed-testing laboratory, seed-packing facilities, and the Shipping and Receiving departments. While the growing Contact Center and administrative offices have since been moved to Fairfield, Maine, the Winslow facility continues to provide state-of-the art seed storage, important for maintaining top-quality seed germination. The Albion farm continues as the center of research and remains a working farm, with about 40 acres under cultivation. 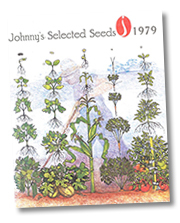 In 2003, the 30th anniversary of Johnny's Selected Seeds, the company opened the Catalog Store. The store, located at 955 Benton Avenue, Winslow, Maine, offers a physical location where customers can shop and experience Johnny's top-notch customer service. In 2006, Johnny's launched an employee ownership program, with Johnston and his wife, Janika Eckert, selling shares to an Employee Stock Ownership Trust. Today, the employees own 100% of the company stock. Looking forward, the future for Johnny's is bright, and the company will continue, as it always has, to focus on providing customers with the best products, information, research, and service.